The fate of thousands of orphans hangs in the balance as a family struggles to advance their international project against the wishes of local leaders. A humorous and witty adventure among scoundrels and humanitarians, politicians and teachers, judges and assassins, skeptics and optimists. A gripping story of challenge and action, love and family, scheming and courage in a Maine mill town rocked by scandal. Can the institutions of democracy save the lives of countless children? John Barth jr. was born in Maryland, was raised in rural Pennsylvania, attended MIT to pursue interests in artificial intelligence, and became absorbed in international relief efforts and education. He has written two novels, numerous essays on public policy and engineering papers, several articles on sailing, and is working on a third novel. He lives in Maine and Florida. For those wondering, he is the son of the novelist John Barth, whose works of course differ, and seeks no advantage thereby. 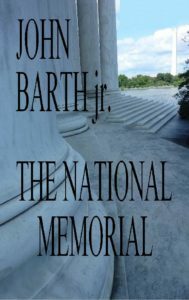 Barth enjoys thoughtful and benevolent friends in every division of humanity, and seeks to advance truth and justice by encouraging sympathy and understanding, applying the wisdom of great thinkers to current events, and by making accessible in literature those experiences which in life are too uncommon, disordered, or harmful to be educational. Of course, the opinions of characters in his work may not reflect his own; and any resemblance of the fictional characters to actual persons is purely coincidental.